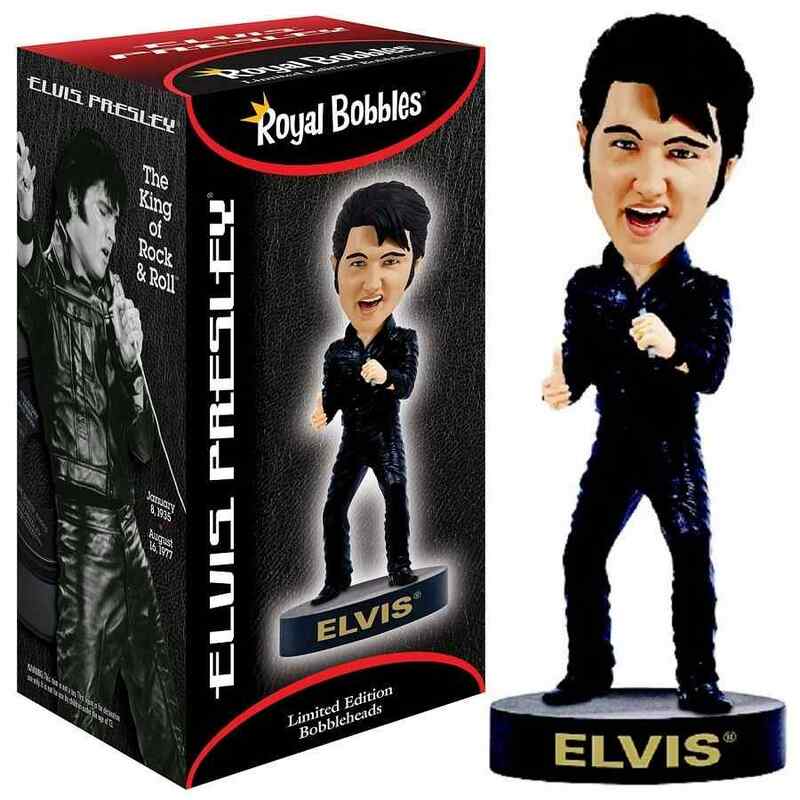 Officially licensed by Elvis Presley Enterprises, this beautiful Elvis piece is the highest quality piece that the Royal Bobbles company has ever produced. 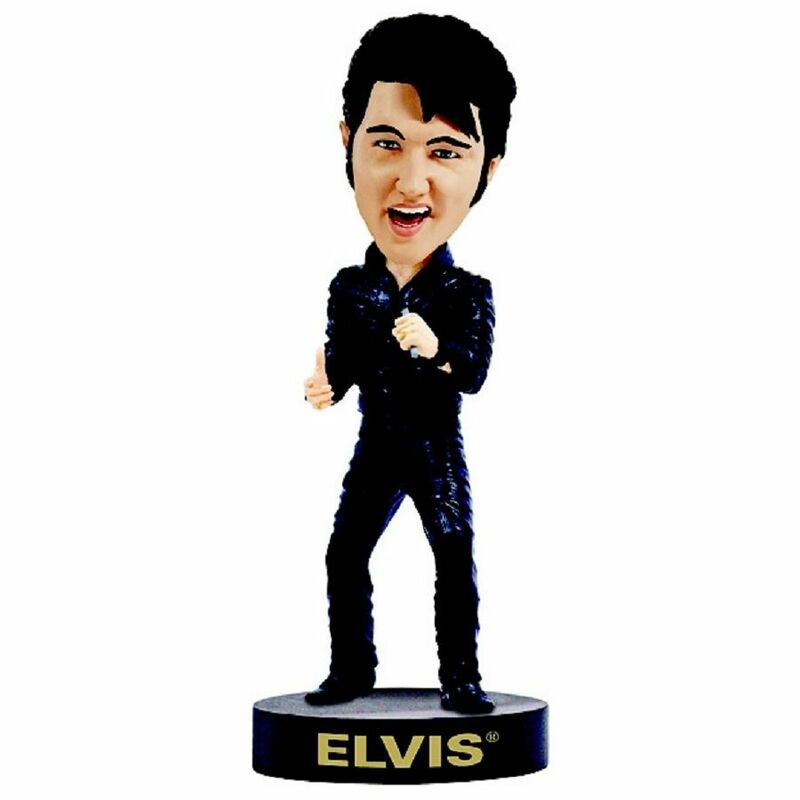 Back in December 3, 1968, Elvis’ first television special was aired by NBC (National Broadcasting Company) simply called “Elvis”. Commonly referred to as the “’68 Special” or the “’68 Comeback” which is a landmark special and marked his triumphant return to the stage. 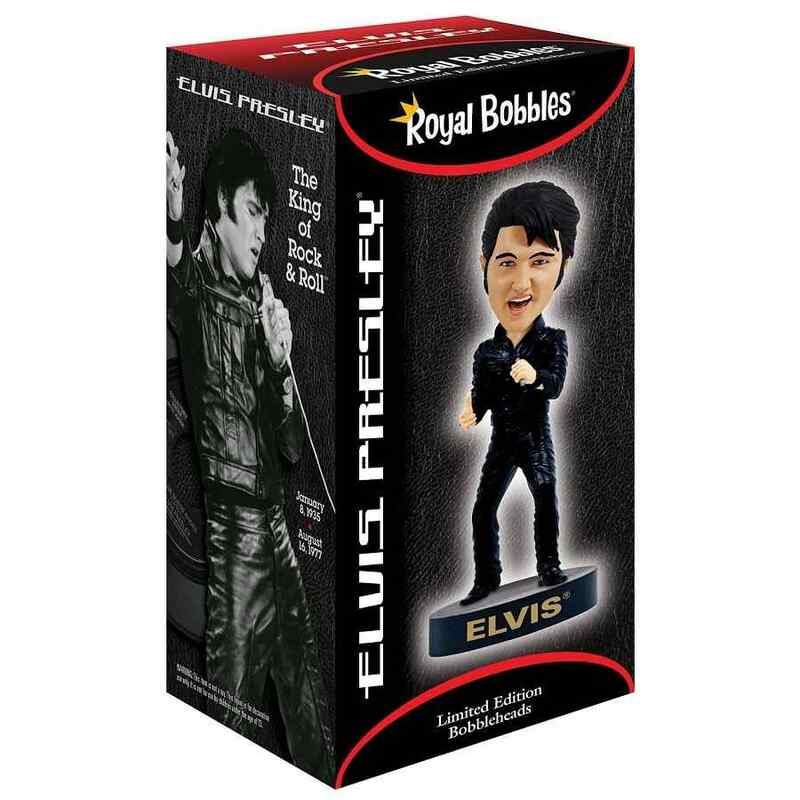 This beautiful hand-crafted bobblehead collectible is to celebrate that historic event and he features the comeback special leather costume and Elvis base.